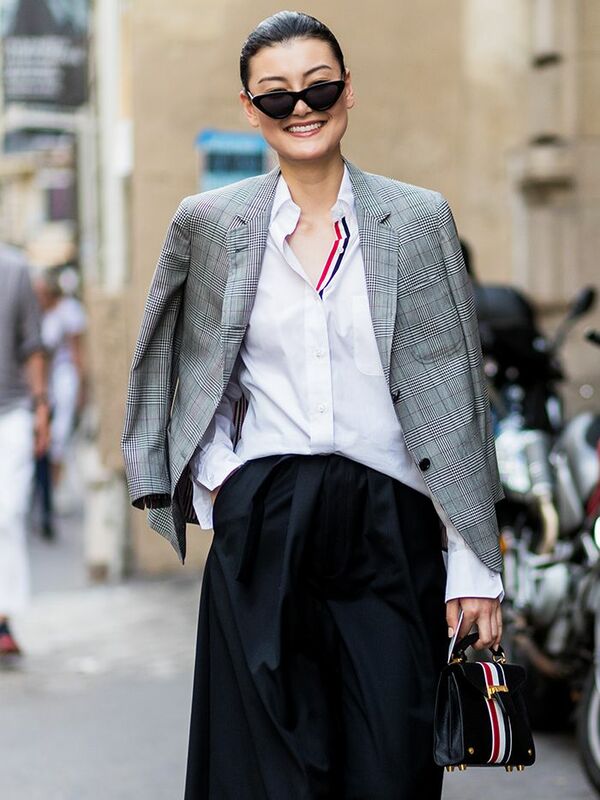 While we definitely don't envy anyone who has to wear full-length trousers to work all summer long, even on the most oppressively humid days, it's nice to have the option of a breezy pair of pants to throw on instead of a dress once in a while. Especially as cooler August nights set in, wide-leg styles in linen, cotton, and silk are becoming especially appealing, and they look far more elegant than denim cutoffs ever could. 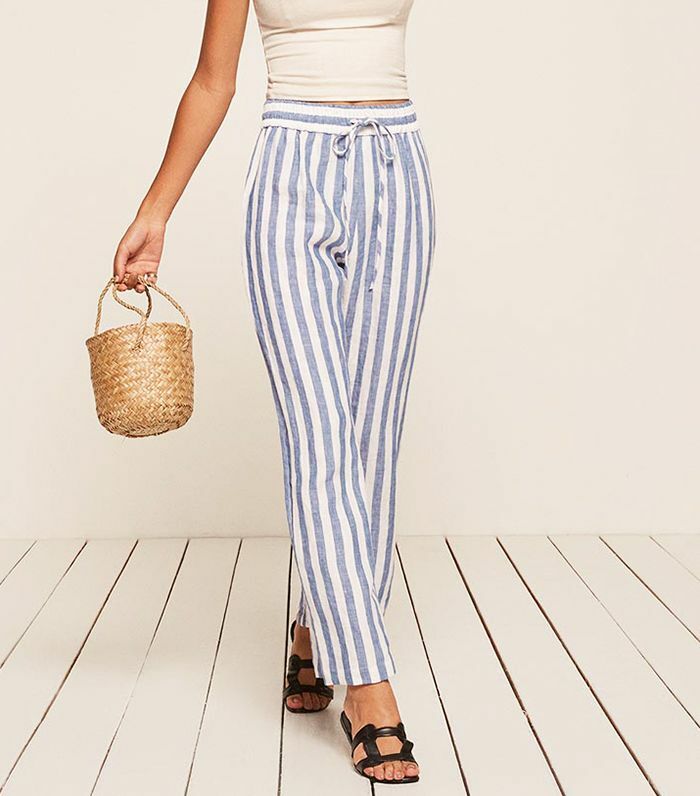 Try wearing Madewell's white culottes to brunch with a silk blouse styled off the shoulders and tied in the front, or opt for an ankle-grazing striped pair with a crisp white tee and simple leather sandals. Because they're so versatile, they're also a great choice to toss in your suitcase for weekend trips and longer holidays alike—and, unlike many dresses (unfortunately), they come equipped with pockets. Below, shop 15 easy late-summer pants to wear from now until fall. Leave it to Ref to make linen pants everyone will want to wear. This natural ivory pair would fit right in on the Amalfi Coast or on a Saturday jaunt to Malibu. These have clever slits for extra breathability. A bright linen style is ideal for the beach. Wear these with the matching blouse, or dress up a simple tank. The paper-bag waist feels fresh with a cropped length and comfy mules. The bright white is perfect for summer. Staud excels at cool-girl staples like these lightweight pants. Are These the Perfect Commuter Pants? The oversize pockets and elastic waist make these a great choice for lounging around. These are as chic as they are relaxed. The silver hardware is a sleek detail. Don't shy away from color and print—these pants make putting together a standout outfit a breeze. This low-key floral is simple to style and works for both day and night. This structured pair can be worn to the office, too. Up next, meet fall's new statement sleeve.